I could not be prouder of our congregation. The Thomas Hall Renovation project is, at last, officially complete. And, it came in under budget! As you all know, Thomas Hall is much used in our ministry here at Vilott. We not only replaced the floor and subfloor but also remodeled the kitchen, improved the bathrooms, renovated the back storage room and redirected water runoff drainage away from the building. It took about two and a half months to get the interior ready and for us to move back in. The last bit of dirt work delayed official completion. Weather and contractor schedules drug it out, but it is now COMPLETE! The members of Vilott all pitched in with the physical work of painting, cleaning, installing baseboards, packing, moving, hauling, unpacking and praying. You were patient with the disruption. You were generous with donations. You worked hard. Thank you. 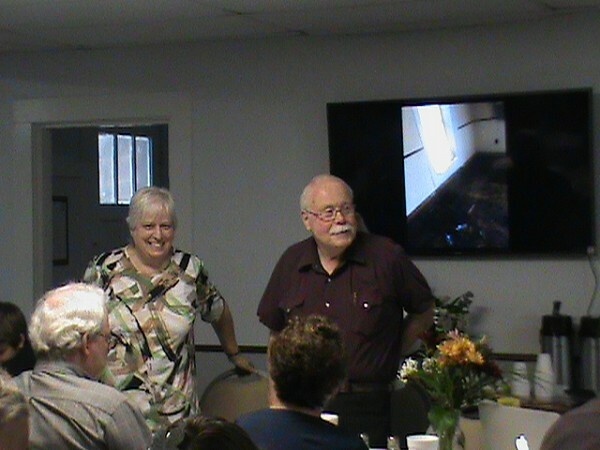 A special thank you goes out to Richard and Alice LaFlamme for leading the efforts of volunteers and contractors to give us a great facility for use in the Lord’s work. We are looking forward to see what new ministries and uses God has in store for Thomas Hall.